Have you given any thought to where you would like to go on your next vacation? 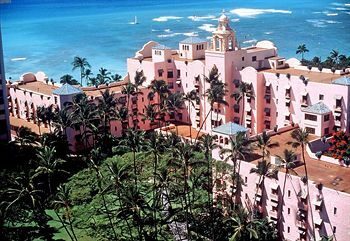 Let me suggest the Royal Hawaiian Resort. A beautiful beachfront resort, reopened in 2009 after an extensive renovation, is located on the sands of central Waikiki, within the Royal Hawaiian Center on Kalakaua Avenue. This luxurious oasis offers guests a weekly luau, two outdoor pools, a private beach, tropical garden, and health spa with outdoor cabanas. The oceanfront Azure restaurant serves fresh seafood. Your are only limited by what you dare to imagine..